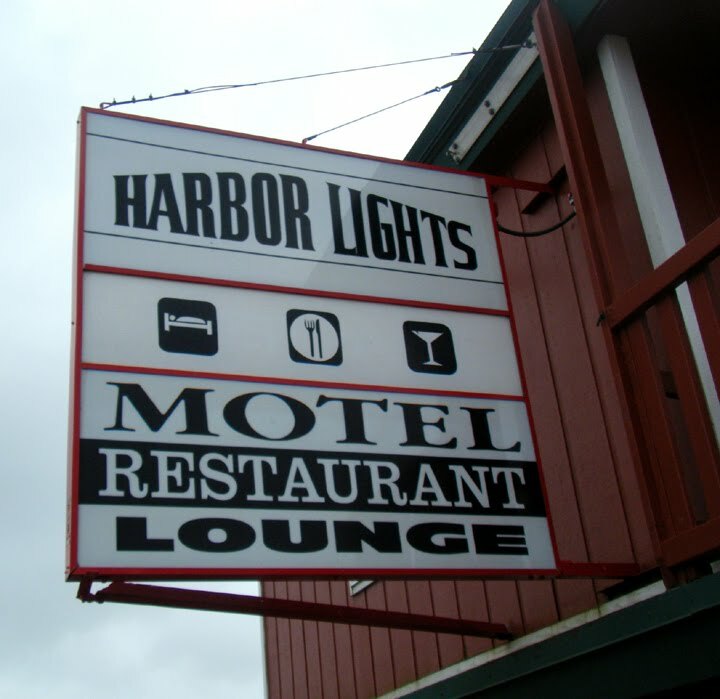 There are two signs outside the Harbor Lights Motel, Restaurant, and Lounge -- neither of which include the new name for the lounge ("The Sea Pearl"), which shows up only on a blackboard resting inconspicuously in a back corner. 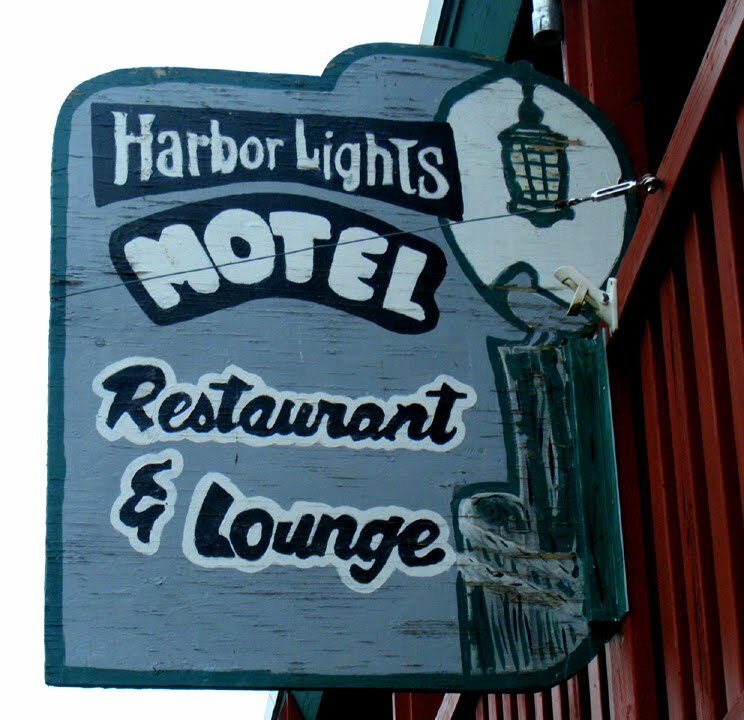 One of these signs is hand-painted and gray -- indicating just the sort of place you'd like to spend the night and/or have a drink when visiting a small, northwest, coastal town. The other is more professional and plastic, devoid of character and charm. 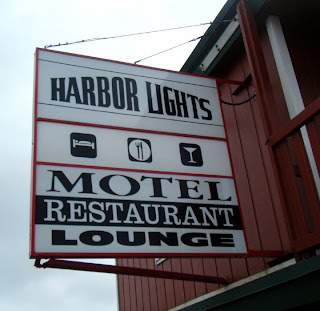 Unfortunately, the Harbor Lights lounge is very much like the second sign. 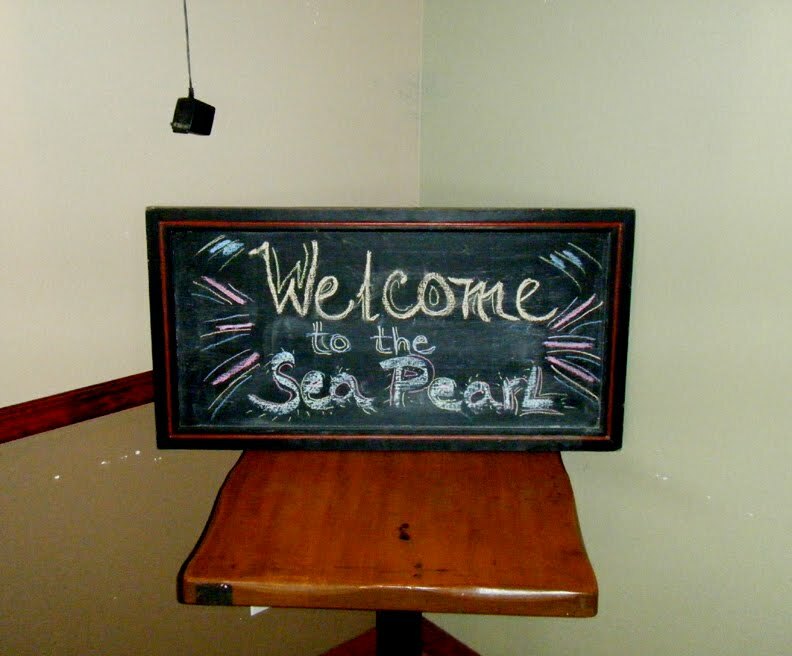 The space is too large and bright, and the decor too plastic and new, to result in a welcoming lounge. 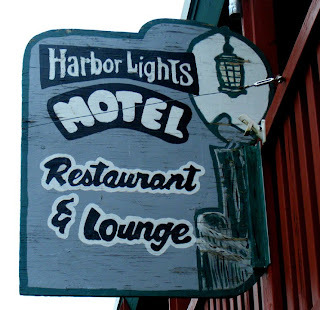 Then, for the first time ever, my "safe" order for a dive bar fails, and I can't get a gin and tonic because they are completely out of tonic. They are also out of the first beer I request from their taps. While all this might have augured a total fail, the Sea Pearl came through with that most desirable of bar qualities, likable regulars and good conversation. That's the reason I'll probably go back. 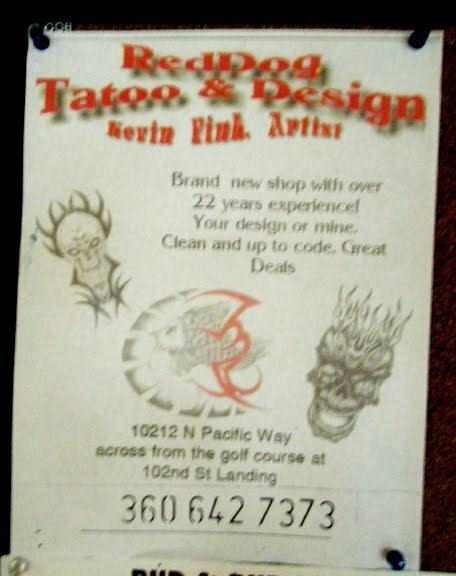 Postscript: On a bulletin board in the Sea Pearl was an 8 1/2 x 11 flyer for "RedDog Tatoo & Design." I didn't try asking any of the folks at the bar, but it does seem to beg the question of who would ever get a tattoo from someone who cannot spell tattoo?